Jackie is a senior Agricultural Communications and Journalism major from Houston. A first generation Aggie, she is a member of Sigma Lambda Gamma National Sorority and the 12th Man Student Foundation. She also assists in the production of agricultural radio reports broadcast daily on Houston’s Country Legends 97.1. 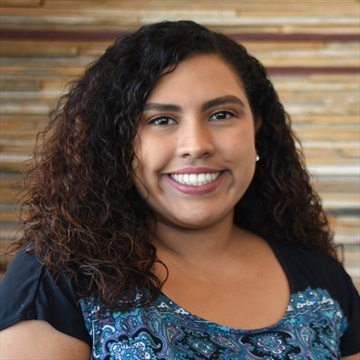 Jackie is a huge Houston Astros fan who enjoys Latin dancing, the batting cages and cuddling with her dog Canela. Her dream career is to work as a sports field reporter in her hometown. 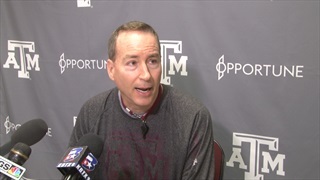 After ending the regular season with a loss, Texas A&M basketball looks to start the post season with a win against Vanderbilt. Head coach Billy Kennedy and Savion Flagg met with the media today to discuss the upcoming SEC tournament. 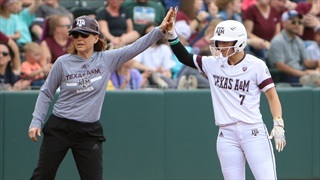 After they were outscored a combined 24-3 in their first two games against the Tigers, the Aggies took one from the Tigers on Sunday afternoon, 6-5. Baylee Klinger launched a two-run shot to left field in the fifth frame. In their second conference game of the season, the Aggies struggled to get the bats going and ended the game scoreless. 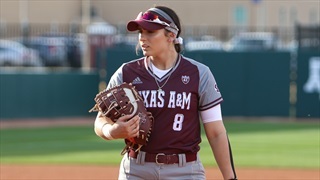 Texas A&M pitchers Payton McBride and Kendall Potts performed their best, but the Aggies weren't able to shut down the Tiger's relentless offense. 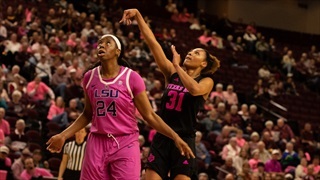 TexAgs presents a full gallery of action from Texas A&M's 59-55 win over LSU. 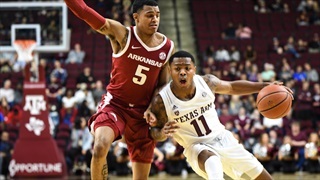 Men's Basketball Photo Gallery: Arkansas 73, Texas A&M 71. TexAgs presents a full photo gallery from Texas A&M's 73-71 loss against Arkansas. 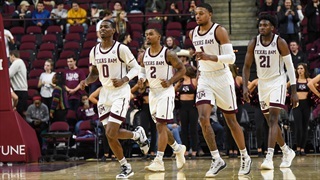 TexAgs presents a full gallery of the action from Texas A&M's win over Northwestern State on Monday night at Reed Arena. 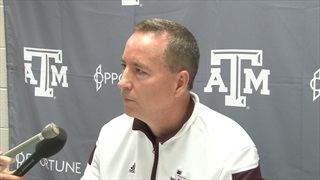 After falling to UC Irvine 74-73 on Friday night, Billy Kennedy met with the media on Wednesday afternoon to recap the loss and preview Thursday night's game against No. 3 Gonzaga in Spokane. 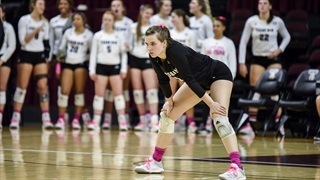 After winning their last two matches, the Aggie volleyball team fell to (5-3) in SEC play on Friday night, after losing to Tennessee by a razor-thin margin. Junior outside hitter Hollann Hans notched another incredible performance and led the Aggies with 22 kills and 21 digs. 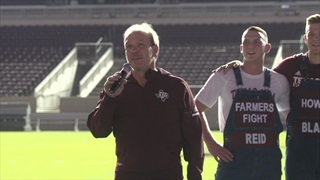 Thousands of Aggies shrugged off a rainy evening and packed into Kyle Field for Midnight Yell the evening before the Clemson game. Head coach Jimbo Fisher took the mic and pumped the crowd up. 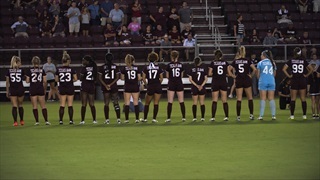 The Texas A&M women's soccer team continued their win streak Sunday night after a 4-0 shutout victory over Santa Clara. The Aggies continue to make history as the first A&M soccer team to begin the season 6-0 in nearly a decade. 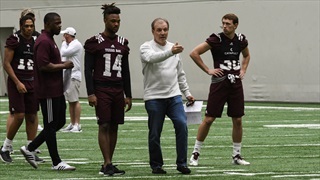 The Aggies hit the field for yet another fall camp practice on Sunday, and TexAgs was there to catch the early portion of practice. 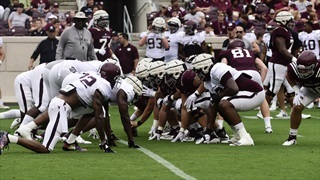 Check out clips of the session's drills and highlights from the tenth day of fall camp.